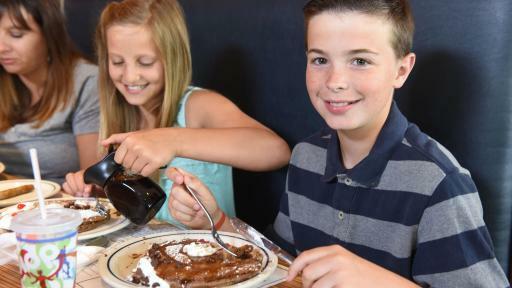 Parents Can Put More Toward School Supplies When Kids 12 and Under Eat Free Daily from 4-10 p.m. at IHOP Restaurants Across the U.S. 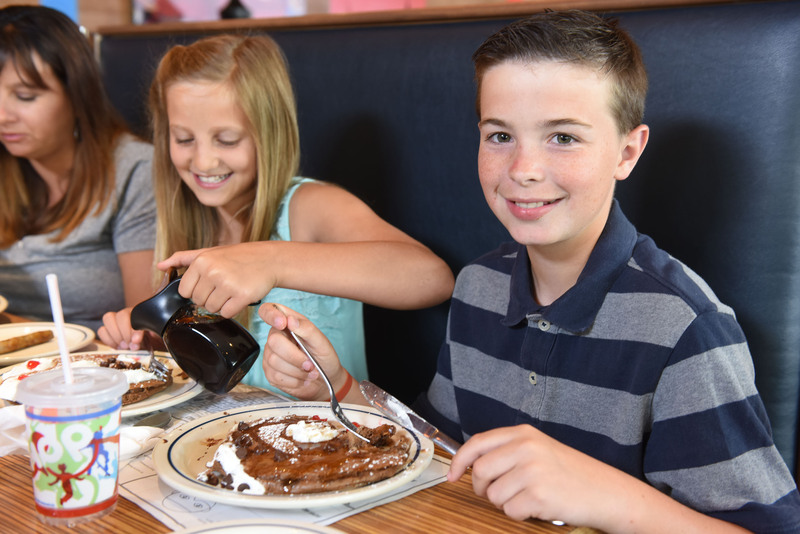 Kids Eat Free* at IHOP® Restaurants is back! Known for serving freshly made breakfast at any time of day, every day, IHOP invites families to savor the last weeks of summer by spending time together at dinner — all while stretching back-to-school dollars since kids 12 and under eat free with the purchase of adult entrées from August 1 to September 25, 4-10 p.m. every day at participating restaurants. IHOP Restaurants B-Roll. Download button at bottom of page. Kids Eat Free Audio News Release. Download button at bottom of page. With more than 100 signature menu items to choose from, there’s always something delicious for parents too. Want to indulge a sweet or savory craving? Try Criss-Croissants, the dish that when first introduced by IHOP last year, millions of people asked “how did they do that! ?” This signature IHOP breakfast entree is made from 27 layers of flakey, buttery croissant pastry dough, waffled to a golden brown before being stuffed with three new filling combinations: delectable Salted Caramel and Banana, mouth-watering Strawberries and Sweet Cream Cheese or savory Egg, Spinach & Roasted Red Pepper. Or, choose from one of IHOP restaurants’ new, hand-seasoned, 100% USDA Choice beef burgers served on a mouth-watering Brioche bun, like the new Denver Omelette Burger which tops the beef patty with layers of white cheddar cheese, ham and a Denver Omelette made with green peppers and onions. With many IHOP restaurants open 24 hours a day, every day of the year, guests can always fulfill a craving for breakfast foods ― and more ― made your way. For more information on Kids Eat Free or Criss-Croissants please visit www.ihop.com.